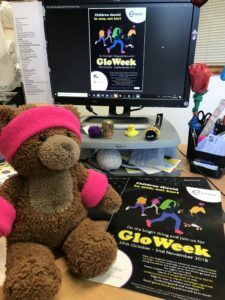 Each year the Child Brain Injury Trust deliver an important road safety message about “Being Seen, Not Hurt” during our GloWeek campaign. 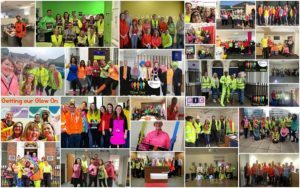 Over the last number of years this campaign has gone from strength to strength, and this year we have been inundated with requests for our school awareness sessions. Unfortunately we don’t have the resources to be able to visit every school that would like a session, but the team are trying to squeeze in as many sessions as we can. Everywhere from Glasgow, to Belfast to London has been fully booked for weeks. 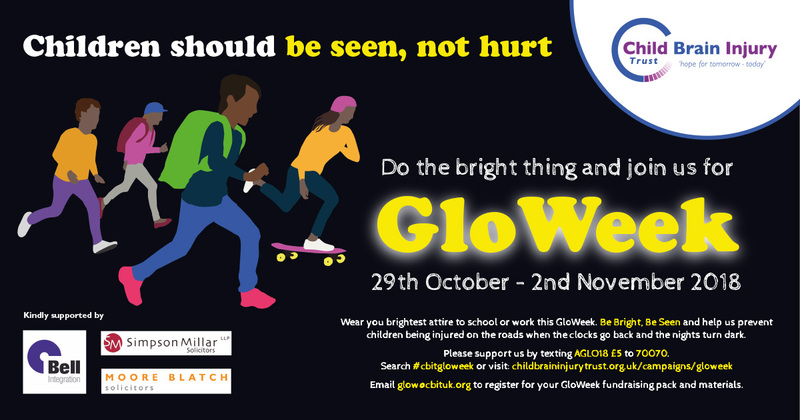 During GloWeek we aim to highlight the importance of “Being Seen, Not Hurt”, these sessions are delivered just as the clocks go back and children are making their way to and from school in darker conditions. We talk to young people about how to stay safe, we talk about all the different ways that accidents can happen, and we look at ways to keep our brains safe. Of course, being the Child Brain Injury Trust, all this is done with a brain injury twist. We talk to children about why our brains are amazing and what can happen if you do acquire a brain injury. Thanks to the kind support of our campaign sponsors: Bell Integration, Moore Blatch Solicitors and Simpson Millar Solicitors, we have been able to give schools an opportunity to have an awareness session free of charge. We’ll be bringing along our jelly brains and egg helmets, and there will be some glowing goodies for children who help with the practical elements.